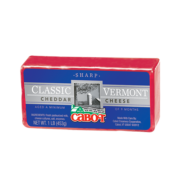 Home > Cheese > Cabot"
Thank you for your interest in our Vermont cheeses! 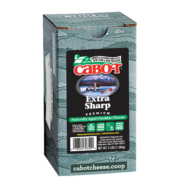 Due to the time in transit and warm temperatures, we have suspended shipping of cheese for the summer. Look for us to be back in the fall! Burr’s older brother, is a fixture around the farm. 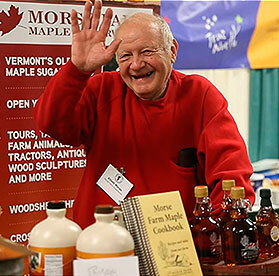 As he likes to say, “One day I walked in and there were things to be done, and I’ve been here ever since!”. Elliott is the Chief of Sweets around here; from granulated sugar, to delicate maple candy hearts, we think he’s the sweetest guy around.